Wordlessly he pointed towards a staircase and Ramya like all other times in her life, tried making good with the bare minimum directions. She found herself transported in a different land. It was a sea. A sea of women of all kinds. If someone told her she had come to a different planet where men now had no relevance she would have believed it. And ironically these women are all living together under one roof because men are so relevant today. Because men have needs they have to fulfill. It felt strange, it felt ironical and in some weird way redundant. Like even a group of such a large number of women held existence because of men. “Its me you are looking for,” a soft voice pierced through her thoughts. The helplessness that was resonated in those words somehow got reflected in her personality in that moment. “Can we go some place quiet and talk?” Ramya spoke quietly. It seemed like some place quiet was only the roof top for her. Anjali, she had been speaking to Ramya about a raise for long now. And also being party to a lot of bookings off late. In fact Ramya had noticed that she was sometimes doing two or three bookings in a day. So it all did add up to her in desperate need of money. “I just landed up with an audition. I need money to commute daily for my shootings. They are not ready to give me any advance. This might be my ticket to break free. Perhaps a chance to realise my real purpose for coming to Mumbai,” she started talking the moment they reached wide open space. Purpose? Here too? Ramya felt disturbed on hearing that word yet again. She went upto the last point of the roof and looked down. Everything looked just the same as it did from her office balcony across the street. There was a traffic policeman guy giving directions, another hoarding money from ill-fated bikers and Suyash clearly visible in the strong silhouette he created while standing upright in the office. “And what is it that drives you to work in such pitiable conditions? Why not quit and go?” Ramya found herself talking aimlessly. She had almost forgotten the real reason for her visit and drifted into more meandering elements of her mind. “I promised myself I will not give up. I have come so far I know I will go ahead,” she spoke these words in a very quiet voice but her determination spilled through. Its been a month of running from one place to another and no results. They say I lack clarity of thoughts. It seems like the joke’s on me now. I left home precisely because I felt I had it. I thought there is no point leading a life generations of women in my life had already lived. I needed to breakfree. I could think for myself, I didn’t need a man to do that for me. And now they mock me. These words. They tell me I was a fool to even think that. But then each time I tell myself, even now the people who are telling me this don’t know what I am capable of. They are limited by their own thoughts and do not have the power to read mine. Have you felt like that? How I wish you are a woman. I don’t know why I have a feeling you are. For all practical purposes and to add some wishful thinking I would hope you are not a man. I would never be able to speak my mind out to a man. They know what they want in life, they are very focused, they have clarity of all kinds. Unlike woman, she is always trying to break free. Making ways no one could imagine they even existed. Hi! I wish I had the time to go back and get all caught up with what you have been writing beginning on Oct. 1st but I’m not able to. I will work on downloading what you wrote for July though at the conclusion of my very busy week. How creative to start a story and keep adding to it. Maybe one of these UBC’s I’ll do something like that with my recipes that I recreate! Thank you! Good wishes to you each day! 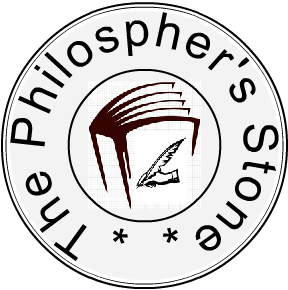 This post certainly stirs curiosity about ‘The Philospher’s Stone’ and makes me want to learn more. Woe…this one was heavy. I am waiting to hear Suyesh’s story. Richa you are creating a tremendous work here girl!! The characters, their stories woven so well and the element of surprise yet open for your readers!! Wow….waiting for the next part!! You have a good series here.